Jack, a young reporter who is having an "affair" with the President's (unmarried!) daughter has himself reassigned to Hungary, where he is bitten by a werewolf. 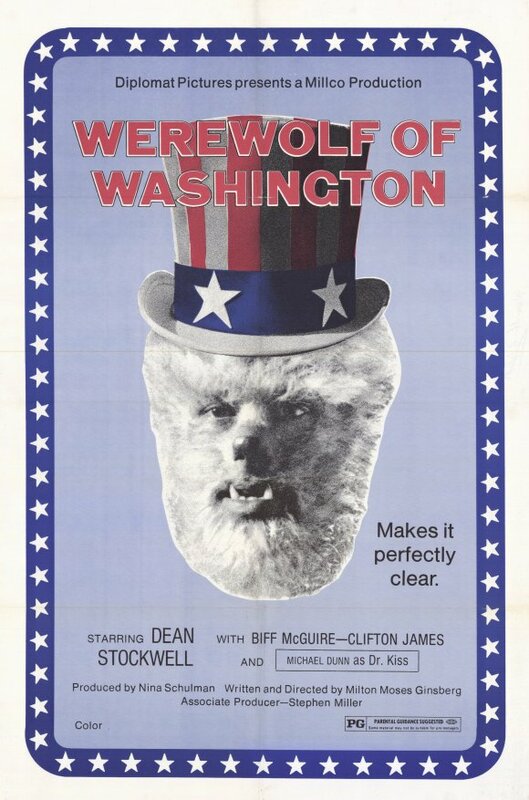 He returns home where he is given a job as Assistant Press Secretary but soon his curse takes over and he is stalking Washington as a bloodthirsty werewolf! This is possibly the worst movie I have ever seen. There is nothing sadder than a horror/comedy/political satire that fails on all three counts. The werewolf makeup is ridiculous and there is not a single suspenseful scene in the whole movie. The comedy is a disaster. This movie was obviously written by a guy who fancies himself a brilliant humorist and just to get him to shut up at parties everyone tells him "man you need to write this stuff down!" The political satire is just as ineffective. I know you're looking at the theatrical poster to the right and thinking, "no way guy, look at that poster, that is Grade-A satire right there." Republicans and Democrats don't get along! Racist people blame blacks for werewolf crimes! Pentagram sounds like Pentagon! 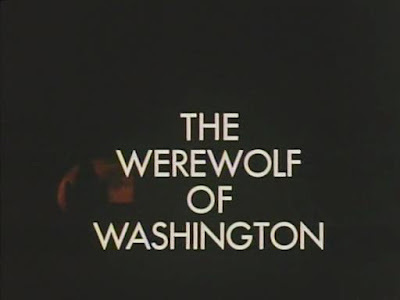 This is the mind-numbing humor and braindead satire that awaits you in The Werewolf of Washington. I guess it doesn't help that this is a werewolf movie. Werewolves, zombies, vampires... what do they have in common? They are classics of course, and the original films- the ones movies even now copy all their little techniques from- are all great. But that was then and this is now and unless you make some amazing change to the concept these have been done to death and there is not much you can say with these monsters. We have seen plenty of changes to the vampire (recently) and zombie (back in the 70s). What about werewolves? An American Werewolf in London added some comedy that worked pretty well but more importantly applied state of the art makeup effects to make werewolves scary again. 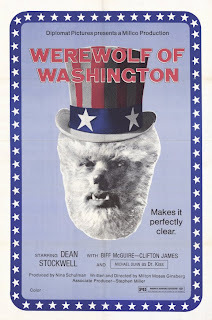 The Werewolf of Washington adds... stale humor and lame political satire. The werewolf effect is no better than what we had in The Wolfman for god's sake. The Werewolf of Washington fails as a horror movie. The humor doesn't work. The political satire is the kind of stuff a college kid would write for his college newspaper. But most importantly it's a boring film and it's no fun to watch.